Are you satisfied with your online store traffic but not so much with your conversions? You’re not alone. Most ecommerce stores struggle with conversions, and that is because they don’t offer a good customer experience. Ecommerce websites require their visitors to convert into customers, making their goals more than obvious to all visitors. So, if you want to convert someone so blatantly, you need to give them something in return, and that something is unique customer experience. So, how can you improve your WooCommerce website customer experience? Read below. What is the first thing that you notice when you enter a website for the first time? Its design. And the design of your online store will largely depend on the theme you pick. A recognizable WooCommerce theme will give you that ‘something’ that visitors can’t really put their finger on, but they can surely feel it. In addition, your theme has to be mobile-responsive to enable a smooth experience for your mobile customers. However, there’s much more you can do to ensure that mobile users keep coming back to your online store, which takes us to the next point. It is unnecessary to emphasize the importance of optimizing your website for mobile. It is enough to say that as much as 52.2% of total web traffic in 2018 came from mobile devices. Learn as much as you can about your target audience before you begin to optimize their user experience accordingly. Once you understand your customer base, you will be able to optimize the user interface and other elements in a more specific way. It is crucial to have mobile users in mind when optimizing your homepage. If you stuff it with too much information, your bounce rate is going to skyrocket, and you definitely don’t want that to happen. Instead, your homepage should show only essential pieces of information, have a simple layout, and help your customers start shopping. Mobile users need to be able to figure out your website navigation easily. That is why you need to ensure that your category and product structure are really simple (more on this later). This means that you should have the available category and product open up when users click on mobile menu, as well as make multiple products under one category visible, and have a functional search option with as many details as possible. Also, to make shopping on your website easier for your customers, you can use a shopping cart software like 3dcart ecommerce software, for example. It will help your visitors buy your products and help you stay in control over the entire process. When building an ecommerce website, you need to be aware that when it comes to online stores, everything is about user experience. When you improve user interface, usability, visual and interaction design, and information architecture, you will offer your customers a much better journey through your website. Yes, we talked a little bit about this when talking about mobile devices, but your website information architecture is so important that it deserves another mention, this time a bit different. By enabling better visibility and improving customer experience, good navigation increases your sales and conversion rates. If your users can easily reach your products with only a few clicks, they are much more likely to buy from you. Also, you should focus on the presentation of your products, making it intuitive and thus enhancing your customer experience. If you are using WooCommerce to build an online store, you may as well make use of its countless plugins. They are very effective for solving problems that you may encounter while building a website on this platform, and will significantly speed up your development process and make it easier. Using visuals is a great way to take your online store to the next level. We all know that images speak louder than words and that the visual impression of a website makes the strongest impact on customers. It goes without saying that you must use high-quality images to showcase your products, but you also need to make these images easily zoomable. And if images speak louder than words, videos speak louder than images. Post videos on your website, but also distribute your visual content across other channels, including social media. And of course, make it high-quality, relevant, engaging, and helpful. Your products are, without any doubt, the reason why your customers come to your website. If you nail all the previous aspects but fail to optimize your products, you will lose customers, period. As mentioned in one of the previous points, easy-to-navigate categories add value to your website and improve user experience. When you group your products under the right categories and subcategories, you help your customers find it and make them much more likely to buy from you. In addition, you should name and structure categories and subcategories in a logical way in order to improve your SEO. Yes, images speak louder than words, but that doesn’t mean that words are unimportant. Product descriptions and the quality of product copy are crucial for persuading your customers to buy. A high-converting copy needs to emphasize on the features, advantages, and benefits of your product in a simple language. But you need to do it in a way that makes you stand out from your competitors, so make a subtle twist like adding a joke, pun, etc. And of course, never use plagiarized copies, as this will damage your SEO. Customers are much more likely to buy when they read a genuine product review. This creates a lot of trust in them, but only if you use real reviews. People can smell fake reviews from miles away, so don’t take your chances here. Instead, send your products as a gift and ask for feedback. If the products are of high quality, the reviews will be positive, so it’s a win-win situation for you and your customers. Once you are done with all these improvements, your customers will be much more satisfied, and your conversions and sales will reach a new level. But if you are tired and exhausted from everything, you can always sell your ecommerce website for profit and take some rest. On the other hand, if the ecommerce business seems rather complex to you, you can simply the process and look into dropshipping instead. 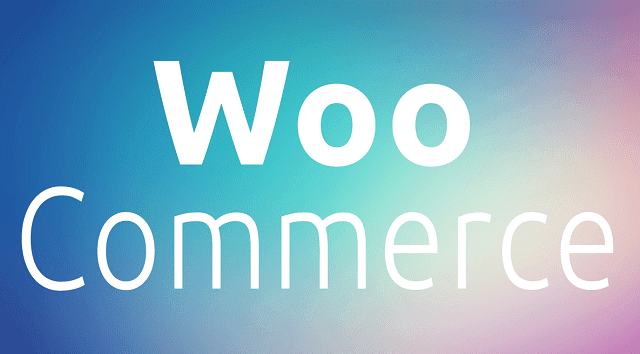 Your WooCommerce website success largely depends on how your customers feel while browsing it. That is why you need to make all the necessary improvements to your customer experience. When you do it, you will definitely see an increase in your conversions. But there is one more thing you should never neglect – customer service. With these customer service tips, you will go the extra mile for your customers, and they will surely know how to appreciate your effort. I hope you enjoyed this blog post about the top tips to improve your WooCommerce store customer experience and strengthen sales. Interested in more articles about improving ecommerce sales?